VIDEO of HHCF @ Ben & Jerrys in SF!! Massive fun!! 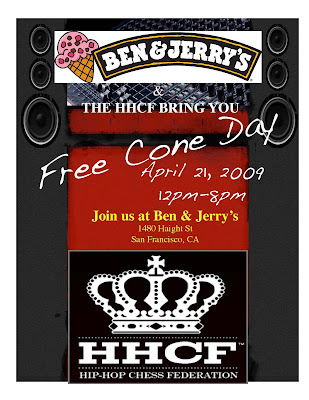 Hip-Hop Chess Teams w/ Ben & Jerrys for FREE CONE DAY, TODAY IN SF!! !